WE'RE TALKING NATURE HERE  and it runs all the way through Grantura's beautiful album, In Dreams and Other Stories, with sounds of the sea and forest breezes. A six-piece band from South East London, Grantura plays echoes of the sort of music you would have expected to hear at places like Woodstock: plenty of love, plenty of sun and plenty of flowers. The sort of music that sets your soul free. But once you've heard the lyrics you think again. In stark contrast to the breezy melodies, they are thought-provoking and clearly born of painful experience. Grantura, says the publicity machine, has skilfully mastered the art of splicing opposed lyrical and melodic content. 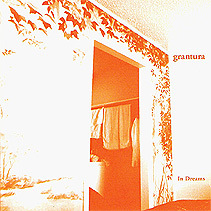 Grantura's intricate musicianship is very much in evidence on the album In Dreams and Other Stories: a beautiful and personal look at life, its political values, relationships, chance meetings, debauchery (!) and late night story-telling. Each track is a masterpiece in its own right  very much in the tradition of the folk and country styles that influence the band. Grantura has also picked up some fantastic radio support  including Single of the Week on BBC 6 Music with first single Waves, released towards the end of 2007. Not only this, but February's live session with Janice Long on Radio 2 showcased them and their Alt-Rock-Americana sound with quite beautiful performances of first single Waves and the forthcoming single, In Dreams. Now signed to Ruffa Lane, the label  part owned by Lucky Soul  was totally enraptured by Grantura's sound. With a nod and a wink to Crosby Stills Nash and Young, The Band, The Byrds, and Elliot Smith, the roots and influences of the band are clearly Trans-Atlantic. The wonder is, says the publicity machine, that Grantura writes and performs with  and simply exudes  an air of 21st Century Britishness. In Dreams is the title track from the forthcoming album  In Dreams and Other Stories  and, for this limited edition 7-inch vinyl and digital download release, it is joined by an exclusive B-side entitled The Long Road. The Long Road is a smoother, less ruffled trip along the highway to a tranquil spot where you can meditate at dusk. On the album, Land Of The Big Skies compares the emotional and personal affects of being raised in the otherworldly lowlands of Lincolnshire to living an adult life in the capital: "I was born in the country; now I hide in the city". Debut single Waves tackles the more political point of staying true to one's socialist roots: "The writing's up there on the wall; It says that we were bound to fall". Hymn For A Drunk was rather startling with its well-observed words and ballad-style delivery. Writer Rick Blackman explains: "To paraphrase reactionary Rudyard Kipling, it's about keeping one's head whilst the rest of the world is losing theirs". Down From The Mountain is seemingly a gloriously uplifting piece but it is open to interpretation as either a perfectly crafted love song or an ominous ode with a deeper, more sinister subtext: "She was born amongst the buttercups and thyme; then she was gone, blown away like dandelions". Don't you just love that!? 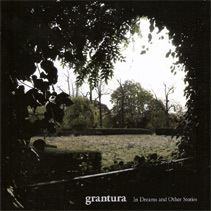  Bringing a taste of West Coast America to Britain through their beautifully accessible songs, Grantura's single In Dreams is released on Ruffa Lane Records on 16 May (2008). The album In Dreams and Other Stories will be released on August 11 (2008). The publicity machine also says: With CSNY-esque harmonies, the delicacy of Elliot Smith, and the band's innate 21st Century Britishness, In Dreams and Other Stories, manages to achieve the almost impossible task of providing the listener with both immediacy and longevity. This is an album that does not bow to the en vogue influences of today. Rather, with a band of six members one should expect nothing less than inspirations that cross artistic boundaries and range from The Zombies to The Stone Roses, Gorky's Zygotic Mynci to Don Quixote! Co-writer Lindsay Clark says of Grantura: "It's such a group effort� everybody listens to different stuff. We throw it all together and see what happens. What does the album mean to me? I'm really proud of it because of the quality of song writing throughout." Early support for the band came from The Guardian who, in their 2008 preview of the year, tipped the band for greatness alongside the likes of Crystal Castles and MGMT and joined a groundswell of support in fanzines and niche publications. Grantura is also an awesome live prospect with a multi-instrumental line-up creating a sound that brightens the darkest of venues. Yet a closer listen reveals a lyrical content that is the perfect cross of intelligence, humour and desperately dark subject matter. Further live dates to be announced. 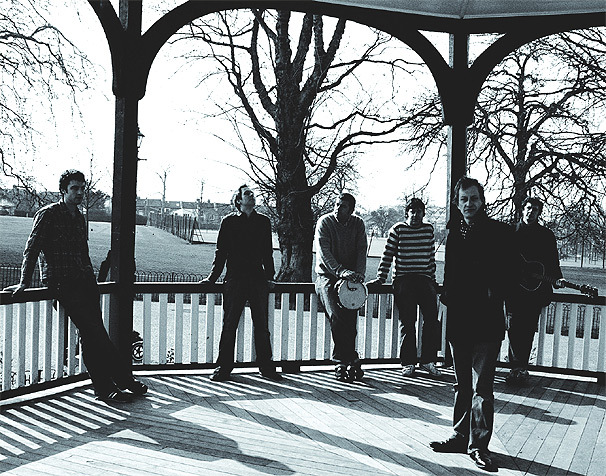 Ruffa Lane was set up by the South East London-based band Lucky Soul and friend and ex-farmer from Yorkshire Nick Woodhead in 2005, as a way of releasing the acts' own music on their own terms. Since then, the label has become something of an international success story, selling 35,000 copies of Lucky Soul's debut album The Great Unwanted worldwide, including a top 10 release in Japan. Not bad for a business that was until recently based in a converted Greenwich fire engine factory. Their remit has developed from releasing records by a single band to releasing great melodic music from all over the world. In recent months they've expanded their roster fourfold and will be proudly presenting their packed release schedule over 2008.